Derrick Bell is a visiting professor of Constitutional Law at New York University School of Law. He has held this position for more than a decade. 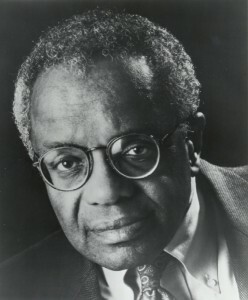 For a more detailed biography of this pioneering scholar in the field of critical race theory, follow this link. Gospel, and particularly the gospel choir at its best, echoes the tempos of the soul searching for God’s peace in the midst of a hostile world…Who among us, of whatever race, class, or creed, can hear gospel music without surrendering to the felt need to tap a foot, sway just a bit, perhaps even join in when the handclapping really gets going? Truly this music speaks to the unavoidable fact that, at bottom, we are all in the same boat.